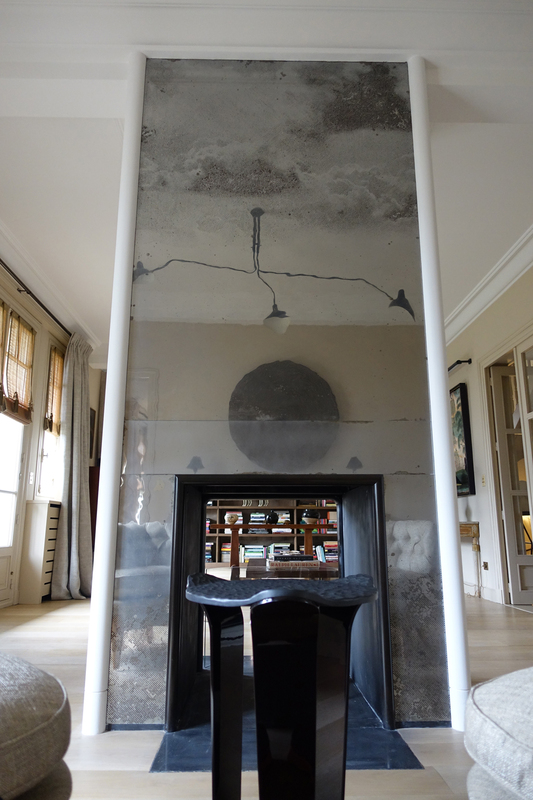 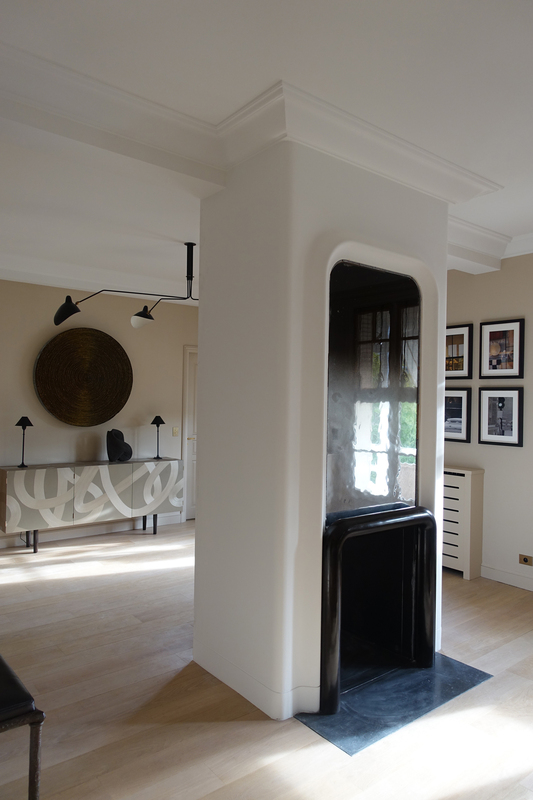 We have created 2 original mirrors for a Double-sided fireplace. 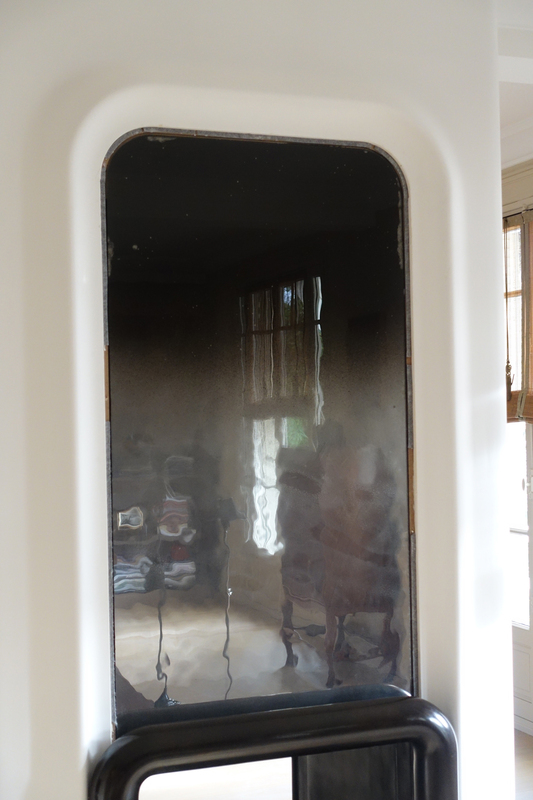 One side of the fireplace has a faded black gradient on a wavy glass, made as an antique mirror. 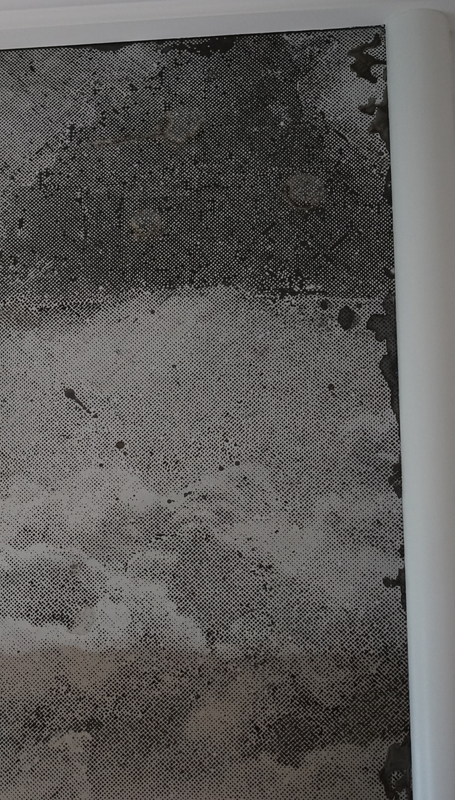 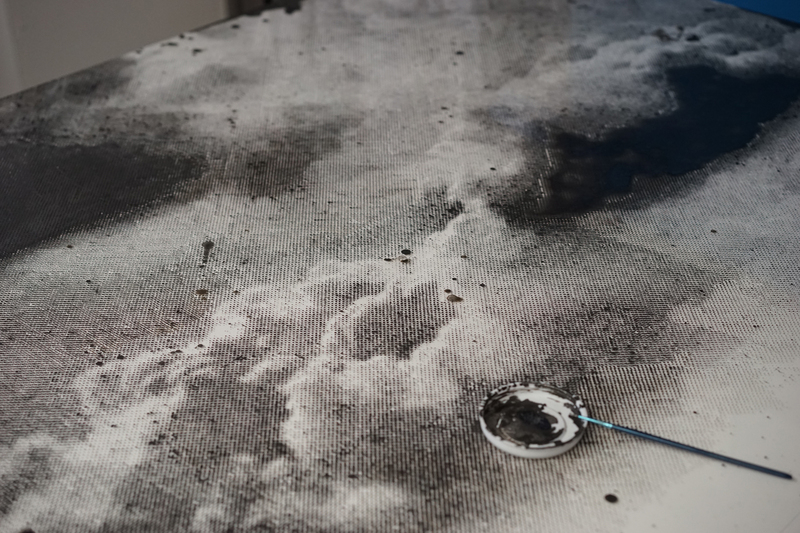 Clouds are painted on the other mirror, forging a romantic intensity, inspired by 1850's photographers.